After coming under intense questioning from its shareholders, the management of Italian oil giant, Eni has finally admitted to wrongdoing in the infamous Malabu Oil deal. Eni, as well as Royal Dutch Shell, had previously insisted that it followed the law in the purchase of one of the most lucrative oil blocks in Nigeria, OPL-245, which belonged to Malabu Oil, a company owned by a convicted former minister, Dan Etete. Mr. Etete was the petroleum minister under Sani Abacha. PREMIUM TIMES’ previous investigations had detailed how he fraudulently awarded the oil block to himself and friends, including Mohammed Abacha, Mr. Abacha’s son, in contravention of Nigerian laws. Eni and Shell took over ownership of the oil block after paying $1.1 billion to Malabu. Despite UK court documents showing the contrary, Eni and Shell insisted that they were not aware the money paid to the Nigerian government would be transferred to Mr. Etete. In fact, Eni claimed its internal investigation that probe its role in the scandal said the company followed due process and “did not find evidence of illegal conduct”. However, after coming under intense queries by vexed shareholders, the company admitted that the investigation did not interview personnel involved who are suspects in a criminal investigation linked to the deal. The company also admitted that it did not follow the Italian legal criminal procedure rules for the conduct of defence investigations. “Obviously these interviews talks [sic] did not regard those known to be listed in the register of suspects at the Milan prosecutor’s office, in order not to interfere with the judiciary’s investigations. Being an independent internal audit on a voluntary basis, it was not necessary to refer to the rule of the Code of Criminal Procedure governing defence investigations,” Eni’s management told shareholders. According to them, further analysis of the investigation recently commissioned by the board of directors “had confirmed, in a transparent manner, the adequacy” … “of the analyses carried out by other consultants”. “Eni’s investigation failed to interview key people inside and outside the company who negotiated the corrupt deal, and failed to access key documentation that forms the basis of the allegations against the company,” said Barnaby Pace, a campaigner with UK-based anti-corruption organization, Global Witness. “Eni has to come clean over this corrupt deal, the company told its investors it had found no evidence of illegal conduct but given what we now know about their investigation this isn’t good enough. Investors should be seriously worried about the systemic risks that the company might be facing if this is how they react to serious corruption allegations,” Mr. Pace added. Elena Gerebizza of Re: Common, an Italian organization campaigning for financial integrity, said Eni has to do more than merely admitting to wrongdoing. He said as the biggest shareholders of Eni, the Italian government has to make sure that those involved are made to face justice, in line with its avowed anti-corruption stance. 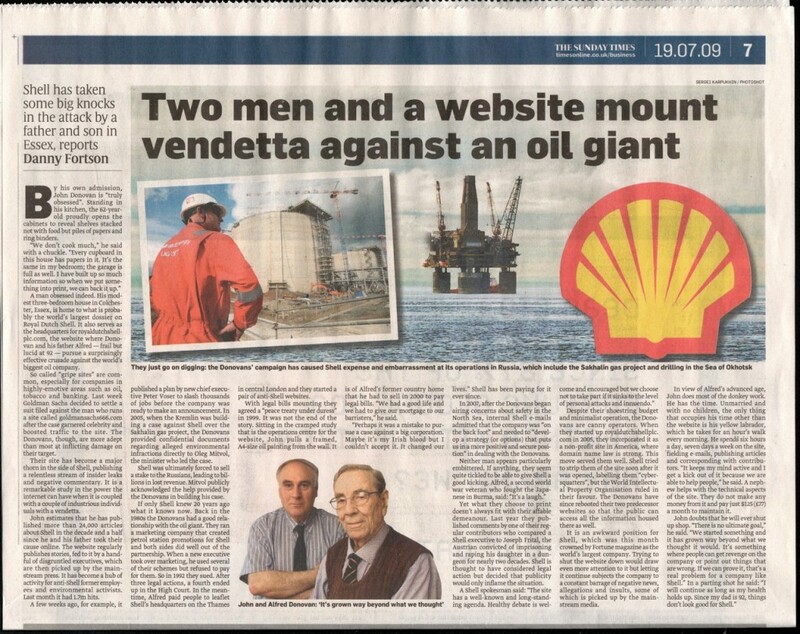 “Eni’s claim to a zero tolerance approach to corruption does not seem to line up with their actions on the OPL 245 case. The management admitted to current CEO Claudio Descalzi’s talks with a known convicted criminal during the negotiations for the deal but refused to disclose the content of the conversations or say what action has been taken over this this deeply problematic situation. As the largest shareholder in Eni, the Italian Government has a responsibility to intervene, it cannot maintain an anti-corruption stance but ignore such credible evidence within Italy’s biggest company,” she said. The infamous oil deal has elicited multiple investigations across the world. In Italy, the office of the Public Prosecutor of Milan is investigating Eni and Shell as well as Mr. Etete who has been named as a suspect. In Holland, financial police working on a joint investigation team alongside Italian authorities, raided Shell headquarters at The Hague in February. A UK court ordered that $190 million paid by both oil giants to Mr. Etete and his middleman be frozen. Back home, the Economic and Financial Crimes Commissions, EFCC, is probing the deal. In 2014, the House of Representatives recommended that the deal be cancelled as it runs against the dictates of Nigerian laws. Dotun Oloko, a Nigerian anti-corruption campaigner said: “All culpable parties must be held to account and face serious consequences for the cycle of corruption to be broken both in Nigeria and western boardrooms”.